Brian Wilson, the original beach boy, is one of popular music’s most deeply revered figures. He’s a legendary writer, producer, arranger and performer of some of the most cherished music in pop music history. Brian Wilson is a gifted and influential composers with a career spanning more than 50 years. No Pier Pressure is Wilson’s 11th solo studio album which sees him return to Capitol Records, his original label with The Beach Boys. To celebrate the release of No Pier Pressure, fans who buy the album from getmusic can enter a competition to win one of five special signed Brian Wilson surfboards. Brian Wilson has reunited with longtime collaborator Joe Thomas for the No Pier Pressure sessions. Wilson and Thomas co-produced The Beach Boys’ No. 3 Billboard album That’s Why God Made The Radio for the iconic band’s 50th anniversary reunion in 2012. Wilson was also joined at Hollywood’s Ocean Way Studios by former Beach Boys bandmates Al Jardine, David Marks and Blondie Chaplin, as well as Kacey Musgraves, Fun.’s Nate Ruess, She & Him’s Zooey Deschanel and M. Ward, Peter Hollens, Capital Cities’ Sebu Simonian, and trumpet master Mark Isham. Add to that unbeatable mix session all-stars Don Was, Jim Keltner, Dean Parks, and Kenny Aronoff and you’ve got a very special recording. The songs for No Pier Pressure were dreamed up by Wilson and Thomas during The Beach Boys’ whirlwind 50th anniversary events in 2012, a banner year for the band which included a Grammy Award win for Wilson for The Beach Boys’ long-awaited SMiLE Sessions release. Wilson initially envisioned the sessions for his new album to be with The Beach Boys, but unfortunately, that couldn’t happen. Wanting to find the right voices to complete his vision, Wilson recruited some young vocalists who have been inspired by his music. Wilson worked to hone the arrangements, often assembling pieces from various takes, a signature style of recording he has enjoyed since his earliest sessions with The Beach Boys. Since beginning his career with The Beach Boys in 1961, Brian Wilson has enjoyed success with Surfin’ Safari (1962) and Pet Sounds (1966) which has been hailed as one of the greatest albums of all time, as well as creating innovative vocal and instrumental arrangements for major hits including “I Get Around,” “California Girls,” “Wouldn’t It Be Nice,” “God Only Knows,” and the No. 1 smash “Good Vibrations”. Wilson has also achieved great solo success with ten of his own albums released to date. No Pier Pressure is available for purchase now from getmusic. 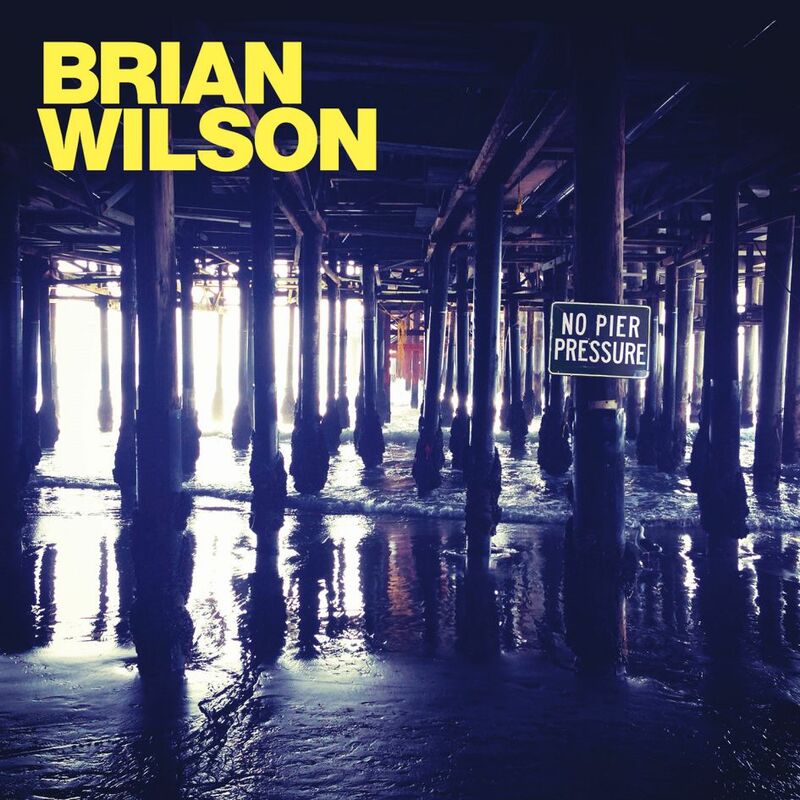 Posted in Music and tagged Brian Wilson, New album, Out now, Pier Pressure. Bookmark the permalink.